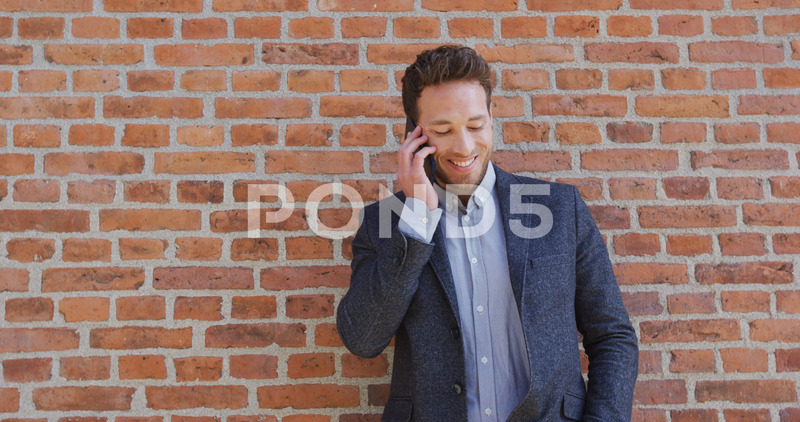 Description: BSmiling businessman talking on smartphone while looking away. Confident male professional is standing against brick wall. Handsome man is wearing formals.